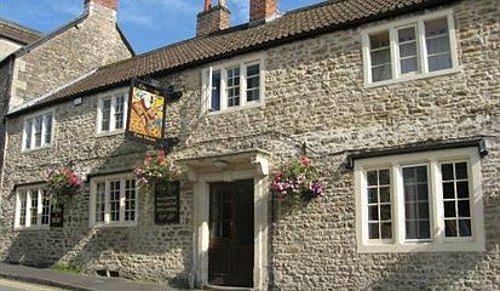 Compare and choose from our collection of B&Bs and boutique hotels in the historic spa town of Bath. Options range from small independent hotels to family-run guest houses where you will be looked after by the owner. 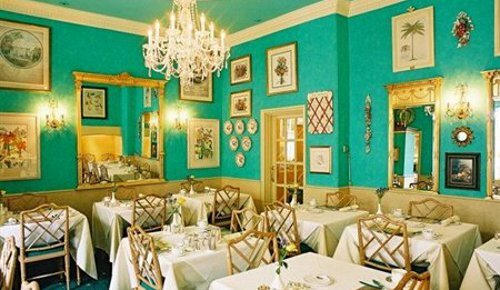 In all cases, you will have a comfy bed and breakfast will be prepared for you. 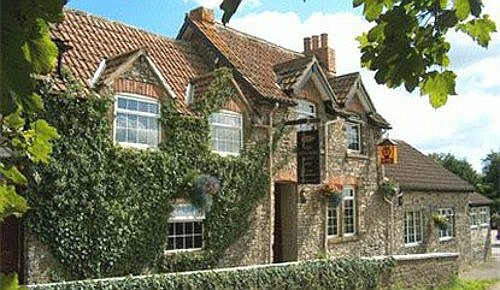 This is an affordable and often more characterful alternative to staying in a larger Bath hotel. 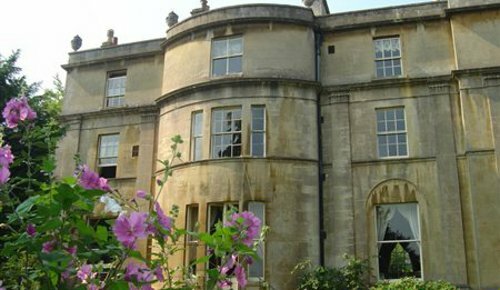 Use the form above to check availability and prices across our entire selection of Bath accommodation. 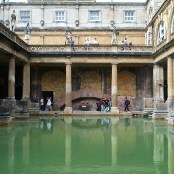 The Roman spa town of Aquae Sulis was the base for this city that was granted Royal Charter by Elizabeth I. The spa and healing qualities of the springs there also made it popular during the Georgian era and continue to attract visitors today. This was the reason behind the construction of the exemplary Georgian architecture that have made this city a World heritage Site attraction and a place to visit for 3.8 million visitors a year. 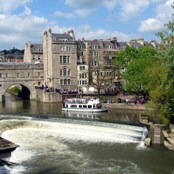 Although Bath has an interesting history which has continued from Roman times to today, the major attractions to visitors are those that were built in the fashionable Georgian era. It was during this time that Bath's Theatre Royal was built, as well as architectural developments that define the city such as Lansdown Crescent, the Royal Crescent, The Circus and Pulteney Bridge. In the very central parts there are the Abbey and the Roman baths to visit, whilst the Royal Victoria Park is always an attraction on a hot day. Bath Balloons - Why not treat your partner, family or a friend (or yourself!) to a brilliant champagne hot air balloon ride a superb gift experience that will be eagerly awaited and remembered for years to come. Take a balloon flight from Royal Victoria Park in our fabulous Bath Balloon and see the great Georgian City from a different angle! Lots of passengers go back to fly with them again so be careful, you might get addicted! If you require car hire during your stay, please click here. Archaeological evidence proves that the site of the Roman Baths' main spring was treated as a shrine by the Iron Age Britons, and was dedicated to the goddess Sulis. The name Sulis continued to be used after the Roman invasion, leading to the town's Roman name of Aquae Sulis (literally, "the waters of Sulis"). The temple around the springs was constructed in 60–70 AD and the bathing complex was gradually built up over the next 300 years. During the Roman occupation of Britain, and possibly on the instructions of Emperor Claudius, engineers drove oak piles into the mud to provide a stable foundation and surrounded the spring with an irregular stone chamber lined with lead. In the 2nd century, the spring was enclosed within a wooden barrel-vaulted building, which housed the calidarium (hot bath), tepidarium (warm bath), and frigidarium (cold bath). The city was given defensive walls in around the 3rd century. After the failure of Roman authority in the first decade of the 5th century, the baths fell into disrepair and were eventually lost due to silting up. The city fell to the West Saxons in 577 after the Battle of Deorham. 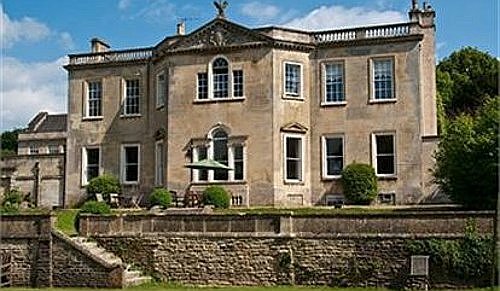 A monastery was set up in Bath soon after that time. King Offa of Mercia gained control of this monastery in 781 and rebuilt the church, which was dedicated to St. Peter. By the 9th century the old Roman street pattern had been lost and Bath had become a royal possession, with King Alfred laying out the town afresh. King William Rufus granted the city to a royal physician, John of Tours, who became Bishop of Wells and Abbot of Bath in 1088. It was papal policy for bishops to move to more urban seats, and he translated his own from Wells to Bath. He planned and began a much larger church as his cathedral, to which was attached a priory, with the bishop's palace beside it. New baths were built around the three springs. However, later bishops returned the episcopal seat to Wells, while retaining the name of Bath in their title as the Bishop of Bath and Wells. By the 15th century, Bath's abbey church was dilapidated and in need of repairs. Oliver King, Bishop of Bath and Wells, decided in 1500 to rebuild it on a smaller scale. The new church was completed just a few years before Bath Priory was dissolved in 1539 by Henry VIII. The abbey church was allowed to become derelict before being restored as the city's parish church in the Elizabethan era, when the city experienced a revival as a spa. The baths were improved and the city began to attract the aristocracy. Bath was granted city status by Royal charter by Queen Elizabeth I in 1590. Areas of the city underwent significant development during the Stuart period, and this increased during Georgian times in response to the increasing number of visitors to the spa and resort town who required accommodation. The architects John Wood the elder and his son John Wood the younger laid out the new quarters in streets and squares, the identical façades of which gave an impression of palatial scale and classical decorum. Much of the creamy gold Bath Stone which was used for construction throughout the city, was obtained from the limestone Combe Down and Bathampton Down Mines, which were owned by Ralph Allen (1694–1764). The population of the city had reached over forty thousand by the time of the 1801 census, making it one of the largest cities in Britain. During World War II, between the evening of 25 April and the morning of 27 April 1942, Bath suffered three air raids in reprisal for RAF raids on German cities, part of the Luftwaffe campaign popularly known as the Baedeker Blitz. Over 400 people were killed, and more than 19,000 buildings were damaged or destroyed. Houses in the Royal Crescent, Circus and Paragon were burnt out along with the Assembly Rooms, while part of the south side of Queen Square was destroyed.